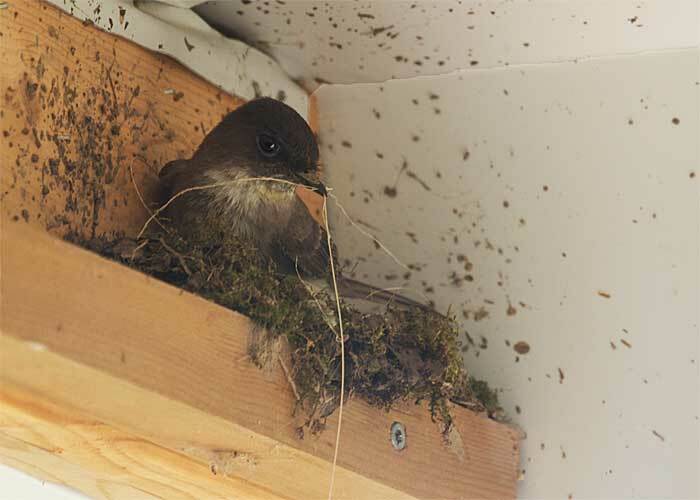 Eastern phoebes building their nest under our eaves. Right outside the kitchen window! They bring in mud and do a sort of Jackson Pollock on the walls. They also bring soft mosses and tie them in place with plant fibers. Yesterday they never came around, and I was afraid they'd abandoned the site, but today they're back at work. I guess they're serious now.